Marvel’s Spider-Man for PlayStation 4: Everything you need to know! Forget everything you know about Spider-Man video games. This experience is on a whole new level. Spider-Man is one of the most iconic fictional characters ever created. The web-head has starred in countless comics, movies, TV shows, and video games but not all of them have bee super high quality. While games like Spider-Man 2 are widely regarded as one of the best superhero games of all time, Spider-Man has also been subjected to some extremely bad video games that many of us try to block out of our memory. With that said, Ratchet and Clank, Sunset Overdrive, and Resistance developer Insomniac Games is spearheading an exciting new vision for the wall-crawler. While we haven’t played the game yet, the studio has proven themselves time and time again and all the trailers we’ve seen look incredibly promising for PlayStation 4 fans this year. 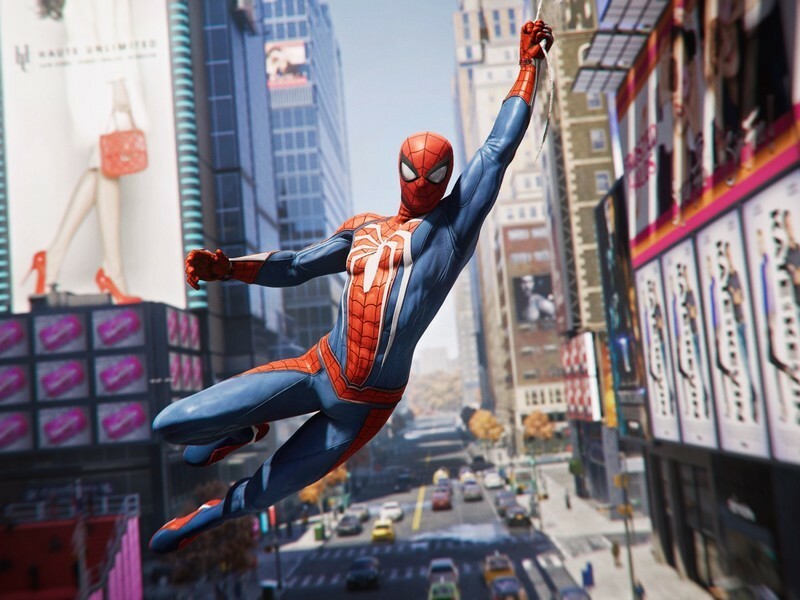 Insomniac has taken great care with Marvel’s golden boy by working closely with comic-book legends like Dan Slott and Christos Gage to craft an original story for Spider-Man. We all know how Peter Parker got his powers, how he struggles to find his footing as a superhero at first, and all that jazz so Insomniac is going to spare us the classic origin story and thrust into the prime of Spidey’s life. Peter Parker is 23, he has been Spider-Man for eight years and has pretty much gotten this whole superhero thing down to a tee. In the game’s opening, Spider-Man will take down the infamous criminal mastermind, Wilson Fisk AKA Kingpin. Insomniac Games has noted Kingpin as Spider-Man’s greatest villain at this point in his career and it’s a massive achievement for him when he finally takes him down. Peter Parker’s apartment is also littered with various details regarding his past encounters with criminals like Shocker and Rhino meaning he has tackled some of his famous villains but the biggest baddies like Venom and Green Goblin may not have surfaced in New York yet. On the opposite side of Peter’s life where he’s not wearing the mask, things are a bit more troublesome. His relationship with the red headed bombshell, Mary Jane Watson, is on the rocks, he’s on the verge of being evicted from his messy apartment, and Aunt May is put into danger when she becomes close with the charitable Martin Li. Li looks like a pretty swell guy on the surface but he holds a dark secret inside of him in the form of his super villain alter ego, Mister Negative. In fear that Li could hurt those closest to him, Peter begins his hunt for Li while tackling plenty of other criminals along the way such as Taskmaster. Beyond that, it’s come to light that players will actually be able to play as Mary Jane Watson at some point during the story. Insomniac wasn’t too chatty about what sort of role she would have when playing as her, nor do we know how her gameplay mechanics will work. Another interesting character that the player may be able to take control of is Miles Morales. As much as those in Peter’s life are important to a good Spider-Man story, one of the most vital characters is the city of New York City itself. As expected, there will be tons of side activities to tackle such as stopping robberies and other crimes. According to Game Informer, when they went hands-on with the game, there will actually be a good amount of interiors to go inside during these crimes so it’s not like other Spider-Man games where you have to chase after a speeding car or beat up some guys on the street. To make the city feel more alive, Insomniac has built a Marvel universe within it. Players will be able to find the Avengers Tower, the Wakandan Embassy, and likely other major landmarks within the world to help take the worldbuilding to another level. There’s no word on if any other Marvel heroes will show up in the game but it’ll likely be kept to a minimum as they’re trying to make a Spider-Man game, not build an expansive Marvel games universe. With a heavy focus on story and developing Peter Parker’s life and world, a lesser team could forget to develop a really solid set of gameplay systems, but Insomniac isn’t taking their eye off the ball. Many look to Spider-Man 2 as the best gameplay experience in a Spidey game due to the incredible attention to detail and physics based gameplay. The webs attached to walls, Spidey swung like a pendulum, and there was an incredible sense of momentum and speed building as you zipped through the city. With all of the advancements and innovations in games in the last decade and a half, Insomniac is on track to deliver the best Spider-Man game, perhaps superhero game, to date. The most important aspect of the character is the way he moves through the world. Spider-Man will be as agile and fast as ever in this new game where he acts like a speeding train that has had the brakes ripped out. In Insomniac’s game, Spider-Man is equipped to adapt to his environment on the fly. He’ll never stop moving if you don’t want him to, the game is constantly making adjustments so you’re speeding through the world as the real experienced “masked menace” would. It’s some of the more traditional Spider-Man combat with elements of the Batman Arkham series mixed in. If you’re swinging but you’re about to smash right into a wall, Spider-Man will instead prepare to run along the wall in the direction you’re holding the stick. If you’re running along a rooftop with lots of vents and other objects, Spider-Man will parkour over them. If you’re running up a wall with a fire escape, he won’t awkwardly get stuck on it, he’ll bounce off each individual layer of the fire escape like stairs or propel himself through them if he’s coming at them from the side. There’s an almost dynamic nature to the locomotion of Spidey in this game. His animations are diverse so it keeps this fun and fluid sense of rhythm, he’ll twirl, move his body in cool ways, and all sorts of other things you’d expect him to do when going from place to place. It’s safe to say that it will probably one of the most beautifully animated games to date when it drops. As for combat, it’s some of the more traditional Spider-Man combat with elements of the Batman Arkham series mixed in. You’ll have your punching and kicking but you can also use some gadgets to help keep things fresh and make things easier on yourself. One gadget Spider-Man has is a web grenade, it detonates and then strings up any nearby enemies so you can swing in and deliver some cheap shots or pick them up and swing them around with a makeshift silk lasso. If you’re feeling a bit playful, you can use the tripwire which is similar to the web grenade. It sits on a surface and when someone walks past it, it shoots a web out at them and slams them toward the wall. If you manage to latch the tripwire on to a person instead of a wall, it will smash two enemies together like Newton balls. If you also happen to knock an enemy off of a building, a tripwire will automatically be deployed and activated to prevent a foe from becoming a splatter on the sidewalk down below. The city is messy enough and Spider-Man doesn’t kill so the game will help you out there. If you’re in the heat of the moment and you’re keen on doing that, players will be able to slow down time briefly and analyze the area for their next move. Is it singling out a guy? Choosing where to throw a gadget? Using an environmental object to defeat some evildoers? It’s up to you how strategic you want to be with it. Of course, New York City is known as the city that never sleeps so there’s always something brewing on the streets whether it be petty crimes or full-blown robberies. Outside of story missions, our friendly neighborhood Spider-Man will get side activities to go clean up the streets. Crimes will play out differently each time so you’re not doing the same repetitive task over and over again so you can grind for that trophy or special in-game perk. According to Game Informer, robberies can evolve into car chases and so forth so it’s always shifting and keeping you on your toes. If you’re a bit tired of beating people up (you’re a superhero, it’s your job, get over it), you can go and do some of the collectible missions like finding Peter Parker’s lost backpacks. As we saw in Spider-Man: Homecoming last year, Peter tends to just leave his school bag webbed up in alley ways when he has to spring into action. Of course, this can result in some bags being misplaced so you need to go and retrieve some key mementos of Peter’s. The items in the bags will serve as backstory for Peter Parker and fill in some of the blanks in the story as well as give you little trinkets such as the first pair of web-shooters he ever created. There are other little side activities sprinkled in the world but Insomniac isn’t going to divulge all of them before launch so that there can be some surprises when you play it. Similarly, they were tight lipped on the suit customization. While it is now officially confirmed there will be dozens of costumes for Spider-Man inspired by comics, other games, and the movies, they’re not revealing many of the suits yet. So far we know that there will be a more traditional suit that you start the game in, an upgraded one with the white spider which supposedly ties into the narrative, the Noir suit, and the Spider-Punk suit. 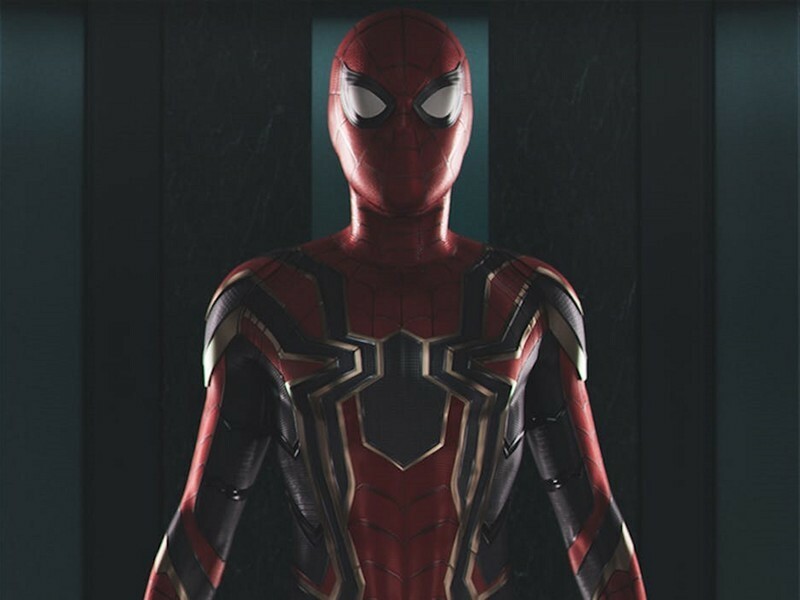 Each suit has a unique special ability tied to it, the Spider-Punk suit features the ability to pull out a guitar and strum it really hard to create an AOE attack. The other suits have their own benefits but Insomniac isn’t willing to talk too much about them yet. Oh, and one last thing: they’re including a killer photo mode in the game. Considering Peter Parker is a professional freelance photographer when he isn’t donning his Spidey suit should mean we’ll have plenty of great tools to capture his musings around New York City. Alright, when can I buy this? If you’re as excited as we are for this game, you can pre-order the game for $59.99 at most retailers. 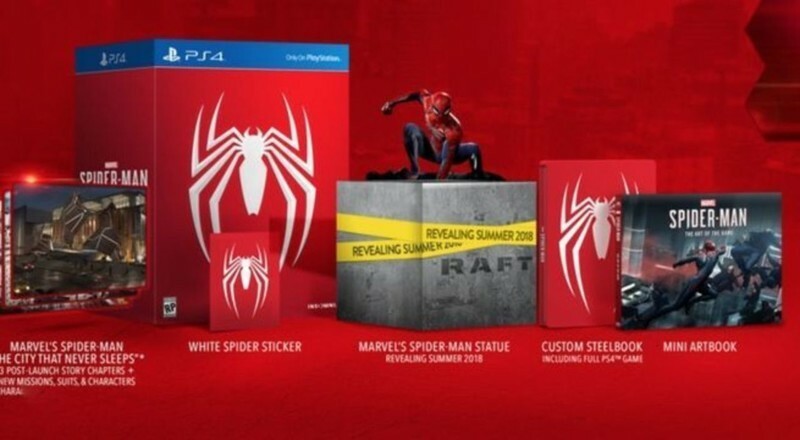 If you want to go the extra mile, you can drop $149.99 on the Collector’s Edition which includes a nice looking statue, some digital items such as post-launch DLC missions, and a steelbook case. Spider-Man will swing onto store shelves on September 7th, 2018 exclusively on PlayStation 4, this is NOT a timed exclusive. 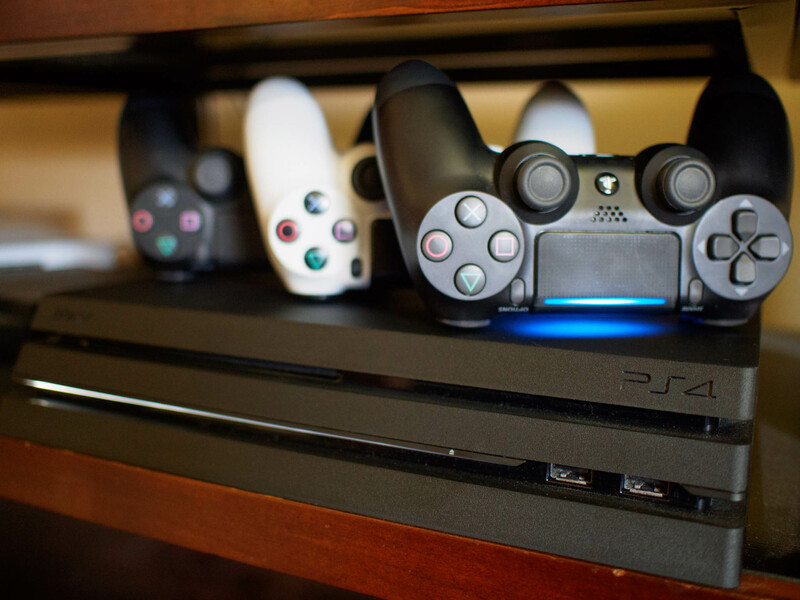 It will never be on anything else other than PlayStation. Updated June 2018: We’ve added new details about playable characters and a Photo Mode that would make even Peter Parker nerd out!